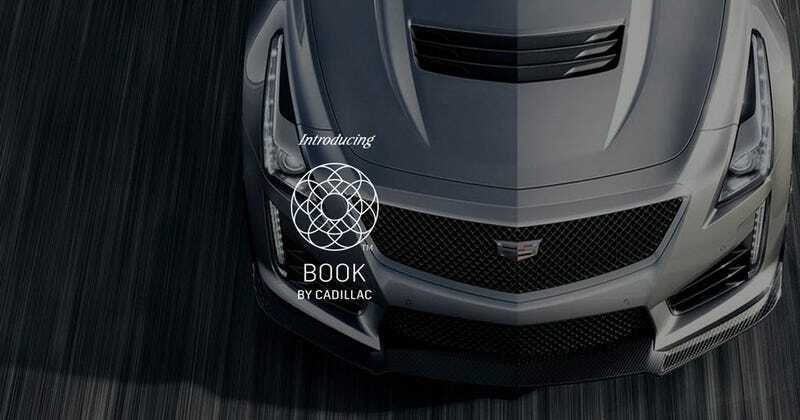 Like Care By Volvo,I became interested in Book by Cadillac when it was first announced. So I immediately signed up to be notified and to join when it became available. I received the email the other day that it became available in my area, LA (the others being NY and Dallas). And like Volvo’s Care it’s a “subscription” (i.e. lease) based program that lets you get what car you want but it’s more exclusive and unlike Volvo only letting you choose the XC40, you get access to: both the CT6 and its plug in variant, the standard wheelbase Escalade and long wheelbase ESV, the XT5 and surprisingly the CTS-V and ATS-V coupe. Weirdly the standard CTS and ATS coupe and sedan aren’t offered on it. And of course they aren’t available for the subscription yet when I looked because according to Cadillac, for whatever reason they have late availability. First, you can’t just join up. Like I said before, it’s more exclusive in that you have to request to join and the fact that it’s only available right now in 3 metropolitan areas.After that, its app based, so you download the Book By Cadillac app. After confirming your email, you then input all your info, including billing, you are all set to go. But initially, it’s not that simple because it never is. After requesting to join, you have to wait until they review your application to join and your driving record before you can be approved to join. You get notified of course of the status of your application. After that, you are invited to participate in an on-boarding call by the concierge to give you the details of the program and how to go about selecting your first vehicle. The good thing is that you can keep the same car and renew for another 30 days, unless of course someone else wants a car and there aren’t many cars available. It’s a good idea to get people into the vehicles. But I don’t think I would ever do it. $1800 is a lot for only 2,000 miles ($.92/mile if you go over) and a month. On top of that, they are trying too hard to make it exclusive, and the initial stuff of having to actually apply to join etc seem like an unnecessary hassle to make it seem exclusive. Another downside? V Series vehicles are only available March-October “when driving conditions are favorable”. Ok, that applies to NY and Dallas, but what about people here in LA? We can’t drive them because the other cities are having bad weather? It makes no sense. But anyway, there you have it, another glorified lease program. What do you guys think of it? Ask anything you want to know because I am a member.